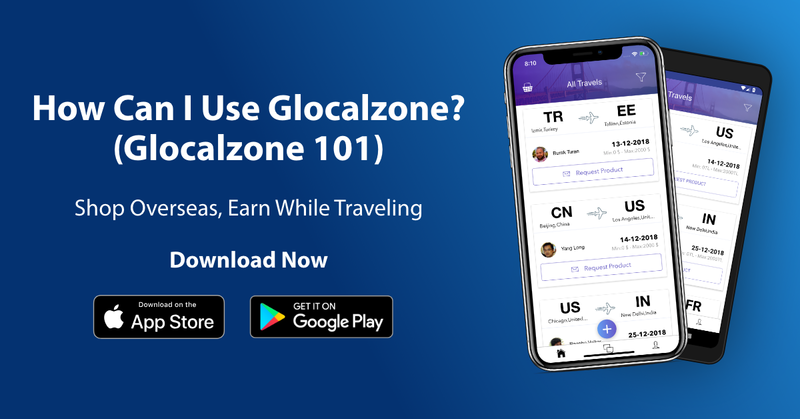 Glocalzone is the easiest way to reaching overseas products and earning money while you are traveling. We improved our security system as well as other features. So you can login change your password in very secure way. Your all unpassed travels are still active on our app. So, you can continue to receive requests from shoppers. In order to get paid from your exist or future travels, it is required to provide your Government ID number, IBAN of your bank account, and working mobile phone number. How can I add my travel? 2. How Can I Add Product? 3. How Can I Send a Product Request to Travelers? 4. How Can I Send a Message and Make a Deal As a Shopper? 5. How Can I Send a Message and Make a Deal As a Traveler? 6. How Can I Edit My Profile and Travel? 7. How Can I Filter Travels? Do you have questions? You can check your help center. You can look our new web site for details!